You sure do enjoy making Valentine cards! It must be because you are soooo good at it!! 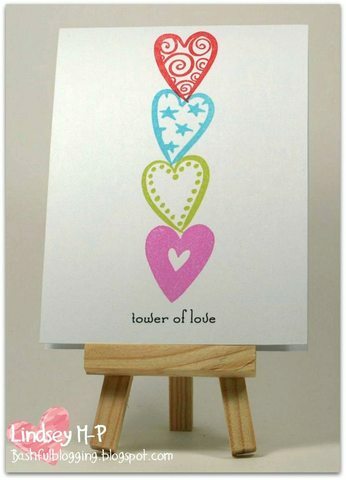 We saw so many beautiful valentines that just set our hearts a pitter pattering! Thank you for sharing! We have our random pick winner: # 37 KARIN , and here's her lovely card! Congratulations!! Please contact Deena for your prize! Wow! What a great number of entries for our Valentines theme challenge! It's nice to see how much you all enjoy spreading the loooove!! I'd like to say thank you to those who left us your comments along with your links; we do so appreciate them! ARE YOU READY? This week we are carrying the Valentine theme a little further but making it a bit more challlenging! 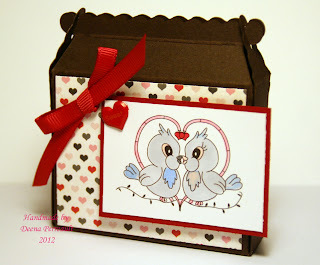 ANYTHING BUT A CARD VALENTINES FOR KIDS! THANKS to our fabulous Sponsor this week! Now here's what our team came up with for your inspiration! Have fun and link up your entries below! Please leave us your direct link and if you upload to online galleries use keyword CCCW154. We are looking forward to seeing your creations!! Oh my, did we have alot of beautiful creations to go through last week. Myself and the Design Team want to thank you for such a grand gallery, as usual, your talent never decieves. I have to say that I am happy not to have to choose only one because it would be quite laborious for me. So our little friend the RANDOM GENERATOR picked this Whimsical Valentine card Jac created. 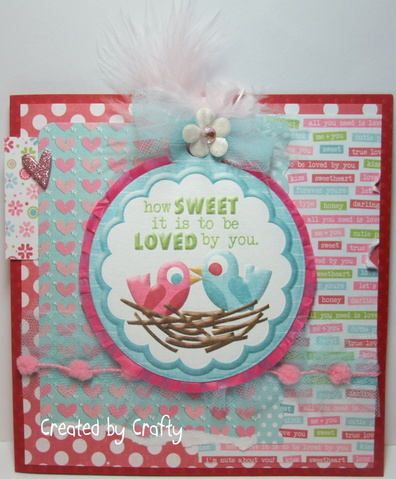 Love the "rainbow" papers and the fun heart border too. 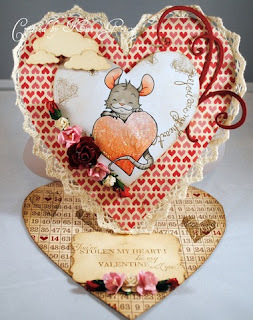 Our week-end was so cold here in Montreal, that I thought maybe some Valentine projects would warm our hearts if not our noses! I did not go for my Sunday walk at -28 celsius thank you very much. Our sponsor is Whiff of joy this week and as usual Kathrina has a fabulous prize for our winner. 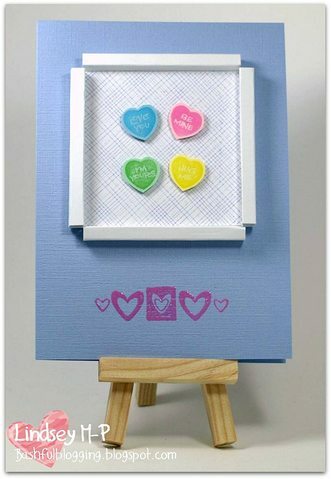 So get those hearts out of your stash in any shape, size or color and Valentine us with your beautiful creations. 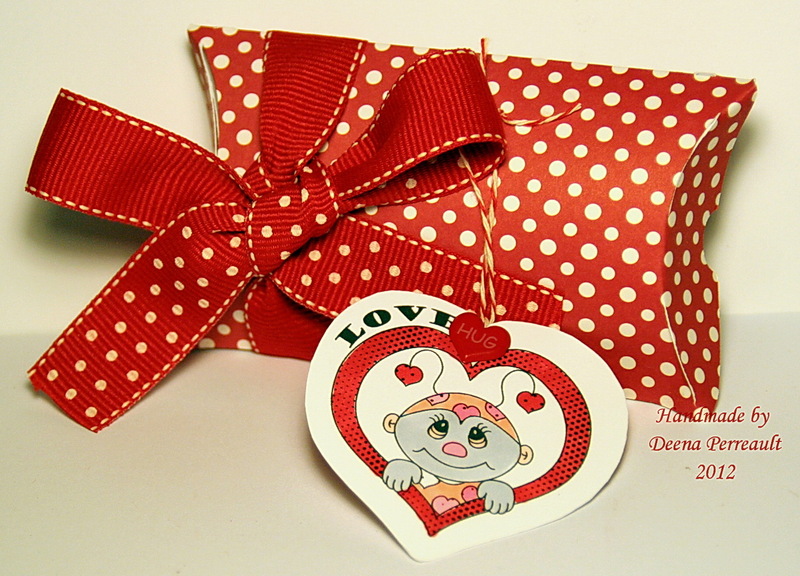 Here is the cute stampset our lucky winner will recieve. Don't forget to link your card to your blogpost and if you do upload to SCS, the keyword is cccw153. Look at the beautiful cards our DT has cooked up for your eyes only! 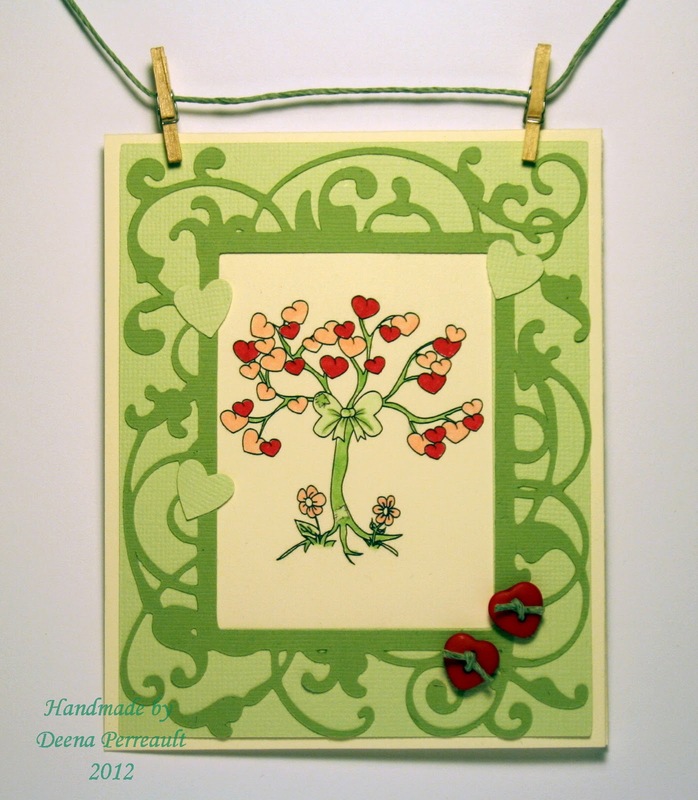 Donelda has used a beautiful heart flower plant to offer her Valentine. Love the warm chocolate and simple string bow. Lindsey aka (Our own CAS QUEEN) has not only made one sample to inspire but two. Check this cute tower of love and the fun framing she did for the bottom one. I have to mention the blue base cardstock. Why? Because it's my favorite colour you know. 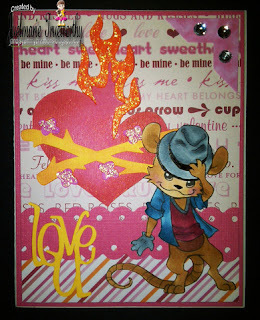 Juelmarie made this beautifuly coloured Valentine. This little dude is from Whiff of Joy and he's a charmer. How sweet of you to join us and inspire us on your week off. and here is mine. I used some fun bright papers to show off this cute little image wrapped in love! Thanks for heating things up with us!! 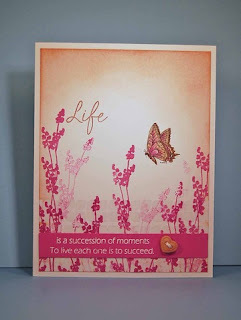 I saw some awesome inspiring cards and learned a few new heat embossing techniques and tricks along the way! We have our WINNER: SuzanneK-Just Love Stamping with this lovely gold embossed Christmas card! Congratulations Suzanne!! Please e-mail Deena for info on your prize! SCROLL DOWN for this week's new CHALLENGE! Hi all! Did any of you get some new crafting goodies to play with over Christmas? Did you pick up some new papers or stamps at that fabulous boxing day sale?! Well, we want to make sure you use all those shiny new things! The challenge this week is SOMETHING NEW! 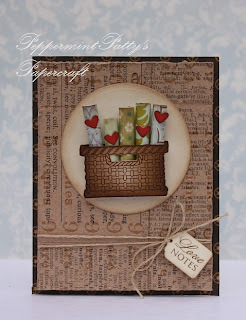 Use a NEW tool, stamp, embellishment, paper, or even a new (to you) technique! 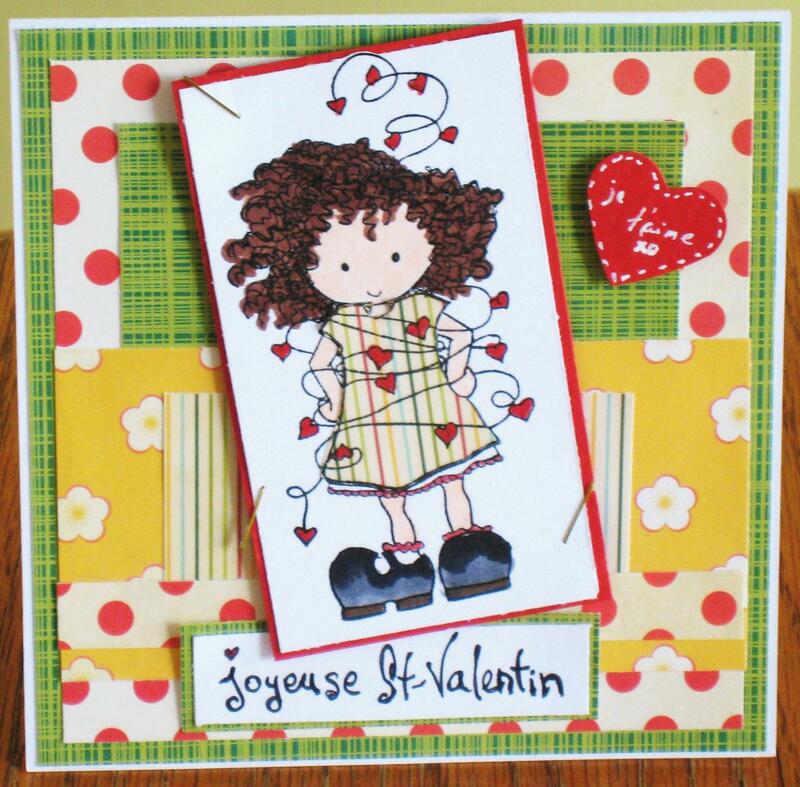 Claire took some extra time cutting this sweet digi image out to really make those hearts pop! Look at those pretty little butterflies in the background too! I had fun playing with my new Cricut Fancy Frames cartridge! I put the focus on the image by using soft monochromatic colors in the background and making the hearts pop in red! This darling image is highlighted with sparkles against a fabulous dark background, and that shimmery blue butterfly and beads are the perfect accent!! 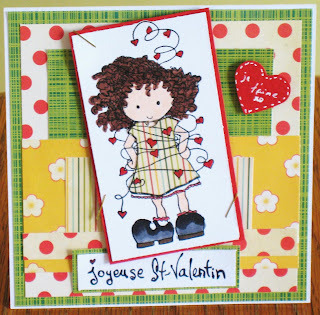 Beautiful CAS design from Kaos; love the creative detail of the cut corners with her great background stamp! My heart flutters at the sight of an almost completely uncolored image!! I love how this technique of coloring just a small detail of the image has such a big impact! 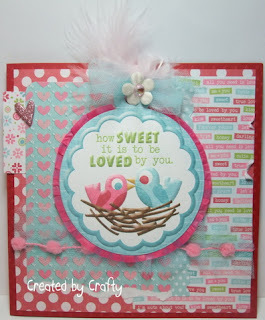 Lindsey couldn't resist playing on her off week and she has made this simply sweet card that is just so dreamy!! Bernie dazzles us with this lovely birthday card with a sparkling banner! I just love the scallop border detail!! 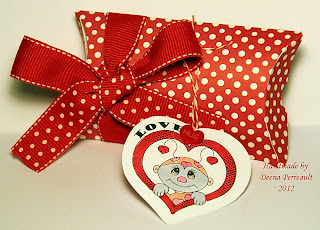 Donelda joined us to share this adorable little heart filled gum ball machine!! Look at the shine on that glass bowl! 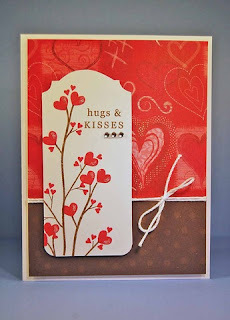 Don't we all just love shaped cards?!! Join us for the challenge by leaving us a direct link to your new creation below, and if you upload to online galleries please use keyword CCCW152. WE HAVE 5 LUCKY BLOG HOP WINNERS! First, I want to thank everyone of you talented cardmakers who entered our 2 week blog hop challenge, all the entries were fabulous. Now on with the winners, yes indeed, since we have 5 sponsors this week, all the Design Team members agreed that we should spread the love. Hence, the 5 lucky winners. YAY! 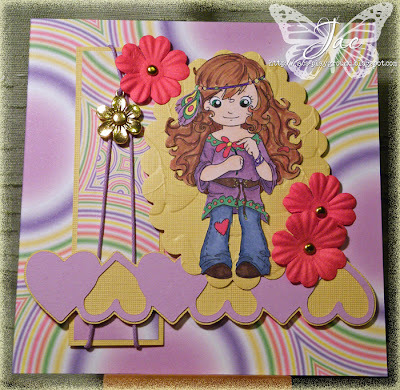 Suzi, your card is such a precious one, from the girly image to the flowers and awesome die cute scrolls and rich red ribbon. You are our first winner and will recieve Jamie's mischief workshop kit. Anne has showed us a vintage way of thanking friends and family, this is a whole gift set too. Beautiful work! 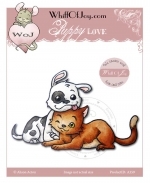 You will be recieving Teeny Weeny Fimo embellies and 3 images from Doodles Hopejacare . 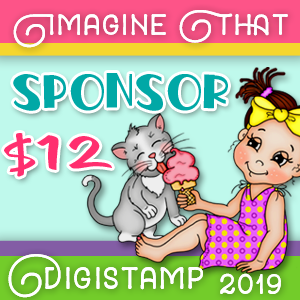 You are the winner of Digi doodle shop's gift certificate. 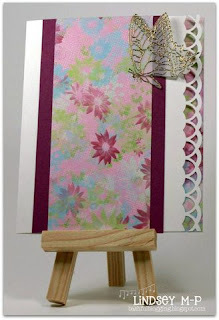 thank you card is so pretty with the kraft and pink color combo! 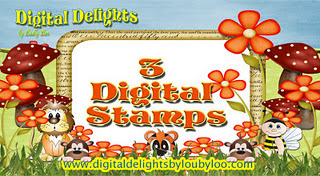 You have won Digital delights by Loubylou's prize which is 3 images. what can I say about this thank you card. Less is really more! WOW! Karen, what a beautiful thank you image. Love this little girl hiding 'neat the huge flower. 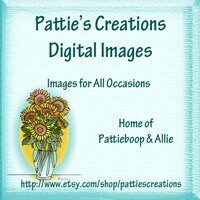 You have won 4 digital images from A creative need digital image shop. Hello to all , Peggy here and I want to say happy greetings for this new year. 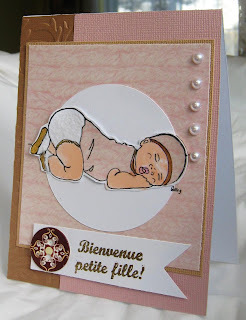 Hope everyone has rested and is ready for another year filled with creativity and sharing the cardmaking passion. As you all know our Canadian winters can be very cold. Oddly, we did not get any serious cold spells yet, but January has just come around and we just might find Jack Frost* learking in the windows of our craftrooms, so we thought about heating things up when it's cold outside with some HEAT EMBOSSING, you can try any new technique with it too. * Just a little update on the weather. It's freezing cold this morning with a low -28celsius here, that is -18 farenheit. Yep, so I guess we need to welcome Jack and heat up this place with our heat embossed creations. So don't be shy and show us your HOT creations by linking them to your blog and if you are uploading to SCS, don't forget to add CCCW151 in your keywords. Donelda's nature scene with Patties butterfly digital image is perfect. What beautiful sponging and sentiment. The little heart button is so pretty. Donna's pastel and flowery pattern works so well with the lavender butterfly. 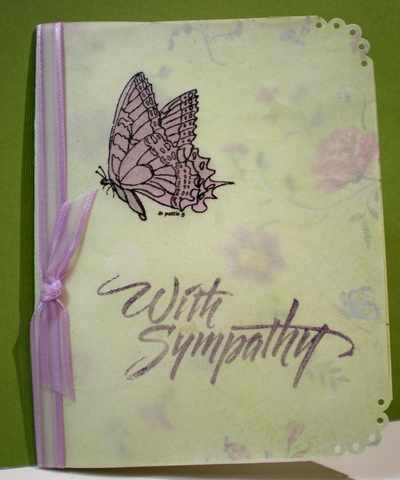 Just perfect for a sympathy card. 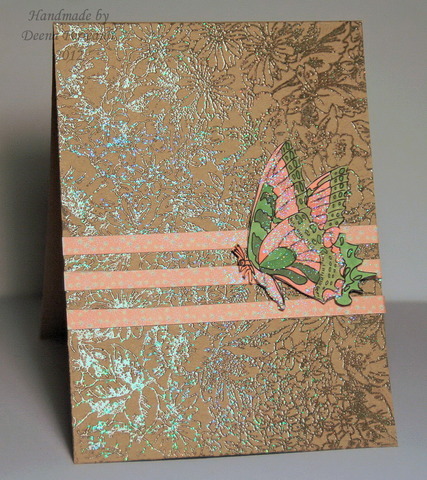 Lindsey's gold embossed butterfly is stunning on the floral print. Deena's beautiful embossed background looks so pretty with the light colored butterfly! CAS cool! and mine...I used baby mine from Patties collection of babies. My embossing is gold, but tried as I might, i could not catch the perfect light .Added some fun flock on the "nappy" to make it look like cotton! 1. Challenges will be posted bi-weekly on Wednesday. 2. Any craft is accepted. Limit two (2) entries per person. 3. Must be a new creation-no back linking, please. 4. Entry must have a direct link to post and link back to our blog. Please make sure to use CCC Winner in the subject line. 6. Top 3 will be selected by DT Hostess. 7. Current challenge ends 24 hours prior to new challenge being posted. Please Note: The DT tries very hard to comment on each submission but sometimes things happen and life gets in the way. We may not always be able to comment on every entry, but we do try.